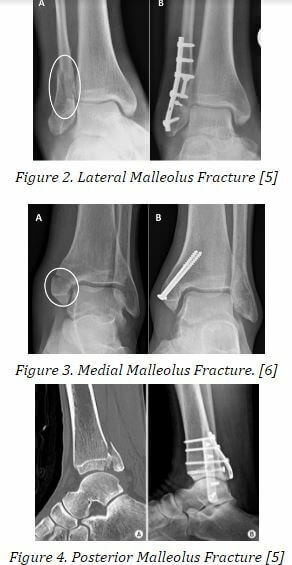 Most fractures are requested to undergo x-rays to assure the different angles are being seen. Usually this diagnostic exam assures no overlapping of results and images of the bones. A dye is being injected to the vein to give a cleared image of the bones. The significance of the dye or radioactive material is that they are attracted to the damage areas giving a result for the fracture area. 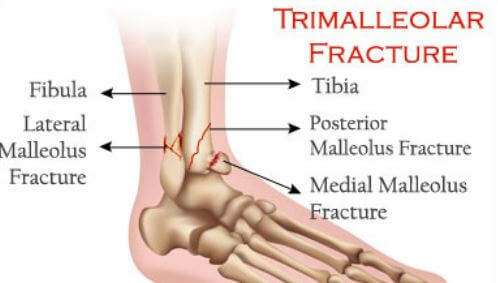 This image tests gives a more accurate reading of the frature area because it captures the bone and the tissue involved. This test uses radio waves and a strong magnetic field to give a more precise imaged of the fracture. The areas that were not captured in the X-rays are being noted in the MRI. Narcotics/Analgesic – since there is severe pain noted on the patient, this type of medications relieves the pain. Antibiotics – since the patient is at risk for sepsis or infection there is a need to take antibiotics to prevent it. Toxoids– the patient had screws, plates and other fixation devices that is usually made of metal, to reduce the risk for tetanus this medicine is being taken by the patient. Immunoglobulins – to aid the immune system of the patients and to immunized them from Clostridium tetani products which is usually from the fixation devices. Open Reduction and Internal Fixation (ORIF) – it brings the fracture bones back o the normal position by an open operation and inside the bones and ligaments. Upon once the bone is opened the area of the fracture will be placed with screws, pins or any fixation device to make sure that the bones re properly aligned and back to its normal positions. Bone Grafting – this procedure involves scaffolding a new bone to grow another bone. It usually aids in reducing the occurrence of arthritis on the ligaments. Usually the patient will have to wear a short-leg cast or a removable fracture boots to make sure that the legs fixation devices will be in place. This is usually left for about 5-6 weeks to make sure that the bones are fully recovered. Some patients usually takes 9-12 weeks before the full recovery. Once in a while, the patient has to undergone series of x-rays to check if the bones are properly aligned.